At Girelle Trading we offer a wide variety of skirtings & mouldings that would transform your house into a home! 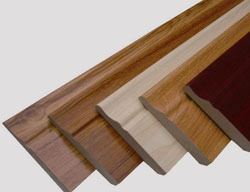 Skirting is a length of Wood/Polyurethane which goes along the bottom of a wall in a room and makes a border between the walls and the floor. Skirting also serves as a covering for Carpet edges and Wooden Floor edges. Skirting also helps with uneven floors and walls, hiding the imperfections, this is of course a on condition that a qualified installer, installs your skirting. 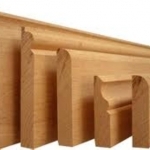 The aspect of Skirting is Decorative and adds a substantial amount of value to your home.